Dr. Massa’s special interests are cosmetic dermatology and laser surgery. She received her M.D. degree from Loyola Stritch School of Medicine in 1976, and completed an Internal Medicine residency training program at Loyola. She then finished a dermatology residency at the Mayo Clinic. Dr. Massa then completed a dermatopathology fellowship at the University of Chicago. She has board certification in three specialties: dermatology, internal medicine, and dermatopathology. From 1983 to 1998, Dr Massa was on staff at Loyola University Medical Center and served as the Chief of Dermatology participating in research, teaching, patient care and development of new programs. She is currently a Professor of Dermatology at Rush University Medical Center and continues to teach Dermatology residents in the areas of cosmetic dermatology and lasers. She has authored more than 40 articles and 4 book chapters and has given more than 150 invited lectures. 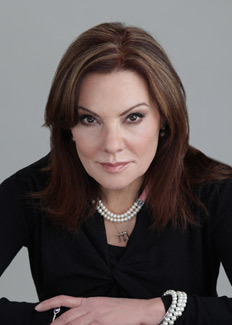 Dr. Massa has served on the FDA Dermatologic Drugs Advisory Committee and is a member of the American Academy of Dermatology, the American Society of Laser Medicine and Surgery, Dermatology Foundation, the American College of Physicians, American Dermatologic Association, American Society of Dermatologic Surgery, Women’s Dermatologic Society, Chicago Dermatologic Society, and American Society of Cosmetic Dermatology and Aesthetic Surgery. Dr. Massa has been named as a top doctor by publications including Chicago Magazine, America’s Cosmetic Doctors & Dentists, and The Consumer Check Book.